This Memorial Weekend, Mississippi Senator Thad Cochran married his longtime (since 1981) assistant, Kay Webber. Rose Cochran - the senator's former wife, passed away in December 2014 after 13 years in a nursing home where, unfortunately, she suffered from dementia. 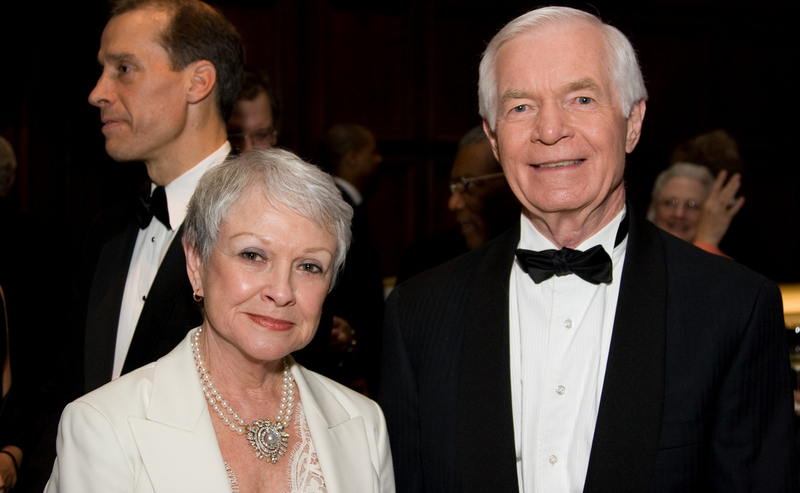 In his effort to gain election to the U.S. Senate last year, Cochran's republican primary challenger, Chris McDaniel, accused Cochran of having an affair with Ms. Webber - an allegation which Cochran then denied. The above image was taken in 2008 and although we don't know the full context of the moment - from a body language perspective it is very telling. Senator Cochran is trying to smile - and many body language novices may indeed call this expression a "social smile" - however there's a mild (approximately a 3 on a 1-to-10 scale) yet significant fear display on his face. Do you see the specific nonverbal component this subtlety? In stark contrast, Ms. Webber's face displays moderate disgust (about 4 out of 10). The cluster of her mid-face tension (above her upper lip and below her nose) as well as the flaring of her nostrils is unmistakable.